The Council of Europe Advisory Council is made up of 30 representatives from youth NGOs and networks who provide opinions and input on all youth sector activities. It also ensures that young people are involved in other activities of the Council of Europe. 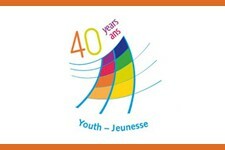 The Council of Europe’s youth sector works on the basis of a partnership between non-governmental youth organisations and governments, in what is known as the co-management system. The Advisory Council on Youth is the non-governmental partner in the co-managed bodies of the Council of Europe’s Youth Department. The AC is made up of 30 representatives from youth NGOs and networks from across Europe: 7 national youth councils and 13 representatives of international non-governmental youth organisations proposed by the European Youth Forum and 10 representatives of non-governmental youth organisations or networks (not members of the European Youth Forum) proposed by the Secretary Genera of the Council of Europe. The next recruitment cycle is likely to take place in 2017. The full list of members for 2016-2017 is available here: http://www.coe.int/t/dg4/youth/Source/Advisory_Council/2016-2017_AC_Members_contactlist_with_photo_%20responsibilites.pdf.